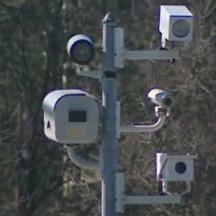 Baltimore County is nearing a vote on a plan to expand its speed camera program to an unlimited number of cameras. A vote is expected at the February 7th council meeting. This vote comes on the tail of a report by County Police which showed that there had been no reduction in accidents after the installation of speed cameras, and that most of the revenue had in fact gone to the multinational corporation which runs the cameras. Baltimore County residents can Contact The Council By Email to express their concerns. The Senate Judicial Proceedings heard testimony this week on Senate Bill 30, which would limit "work zone speed cameras" to areas where workers are present. Current law allows speed cameras to be used in workzones on interstate highways "regardless of whether workers are present". A representative of StopBigBrotherMD.org testified at the hearing on SB30 that this practice could encourage work zones to be kept in place longer than necessary, or encourage workzone speed limits lower than is necessary for worker safety in order to make the system profitable for the state or its contractors. Senator Brochin presented evidence which showed that over 70% of citations issued by the state's work zone speed cameras were issued at times when work was not taking place. The cameras are currently deployed on several interstate highways, including two locations on I-695 where the speed limit is reduced to 50mph, even when work is not taking place. The SHA is attempting to stall the movement for SB30 by instead proposing an 'administrative change'. Such a measure would likely constitute no permanent change at all. Their proposal would involve the SHA 'reevaluating camera sites' but in fact would not REQUIRE them to change anything or even keep any such changes in place permanently. The SHA's proposal included to 'implement a marketing program to inform the public about speed camera use in work zones', showing that in fact the SHA;s counter-proposal is really nothing but a PR ploy meant to distract the public. Maryland would be better off with no change at all than accepting the SHA's counter-proposal. SB30 must pass the Judicial Proceedings Committee in order for the full senate to consider it. You can Contact the Judicial Proceedings Committee if you wish to express your support for this legislation.